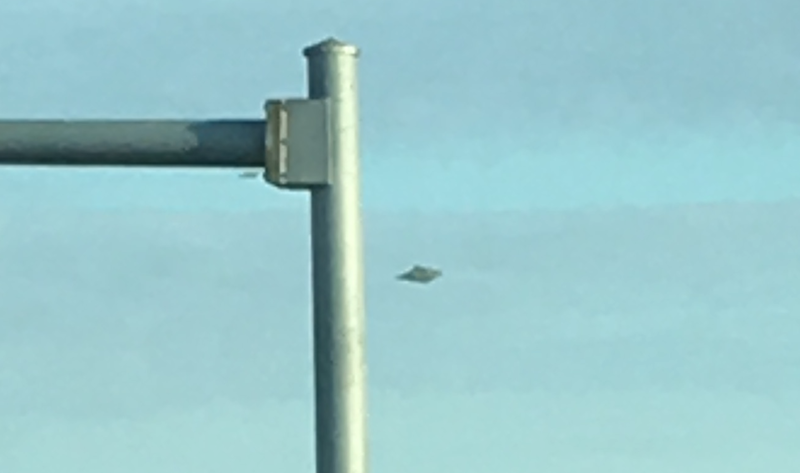 UFO SIGHTINGS DAILY: Diamond UFO Passes Over Freeway In Orlando, Florida On Jan 27, 2017, UFO Sighting News. Diamond UFO Passes Over Freeway In Orlando, Florida On Jan 27, 2017, UFO Sighting News. This diamond shaped UFO was seen in Orlando last month and was visible to the naked eye. 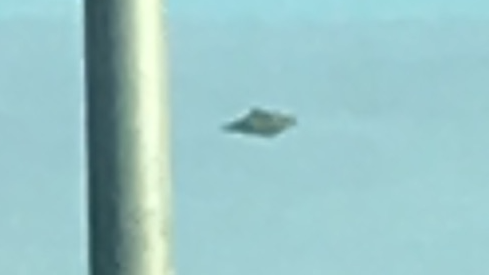 The UFO moved over the freeway as it observers humans and records the data for later study. Aliens are big on watching us, studying us, so they probably have a high curiosity about meeting us. I was traveling east on Sr 414 and had just taken the exit to Sr 434 and was waiting on the stoplight to change. I then noticed a plane flying north and the this object caught my eye just south of my view of the airplane. The object was also traveling in a north direction but was much closer to my proximity than the airplane was. I took this picture with my Iphone which recorded as a live image. In my phone image it has about 3 to 4 secs of recorded video. Not sure how to upload that but i uploaded a still of the object. Not sure what this is but it was very very strange. So I thought I would share.